This item (P13776) is not currently available for purchase. Illuminate your holiday display in a glow of LED lights. 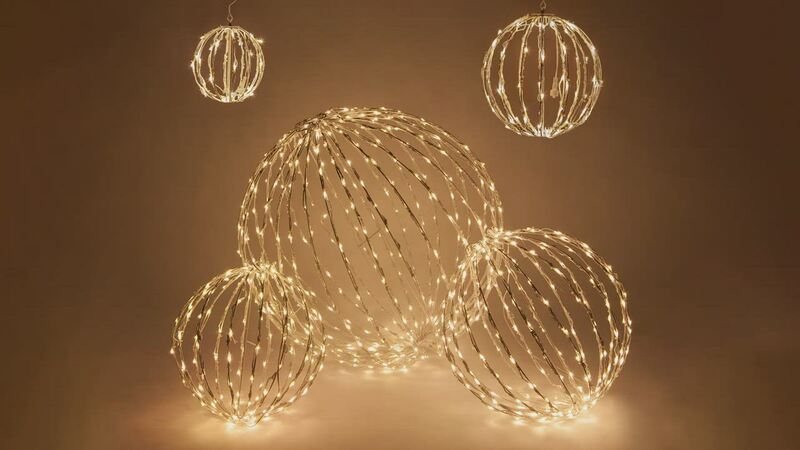 Lighted Christmas balls are designed with durable and fade proof red 5mm LED lights. Rated for both indoor and outdoor use, the lighted balls are perfect for any event you're planning, from parties to weddings and more! Hang from mantles, trees, patios and more for a star gazing effect. When the holidays are over, you can simply fold the spheres up to save on storage space. Create a professional looking light display this year by mix and matching lighted Christmas balls!